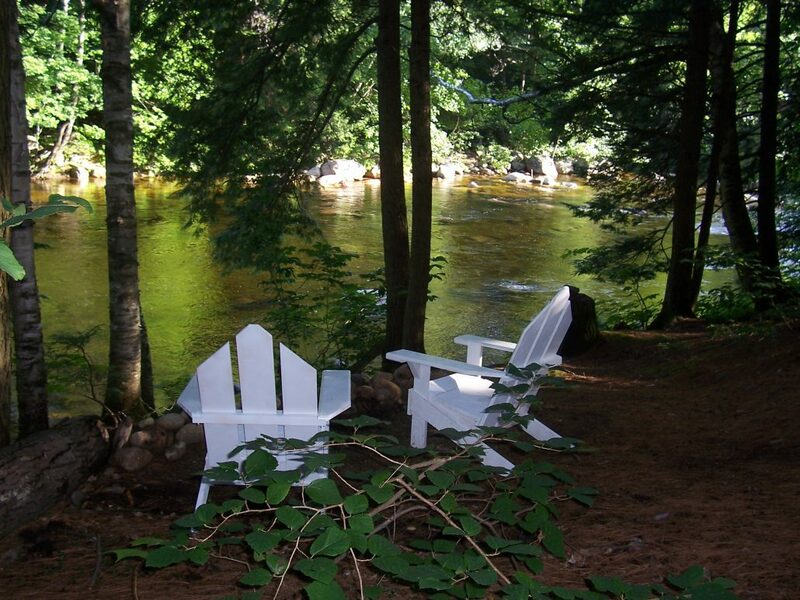 In the summertime our guests enjoy soaking in the peaceful surroundings in an Adirondack chair in the backyard, along the banks of the Saco River. 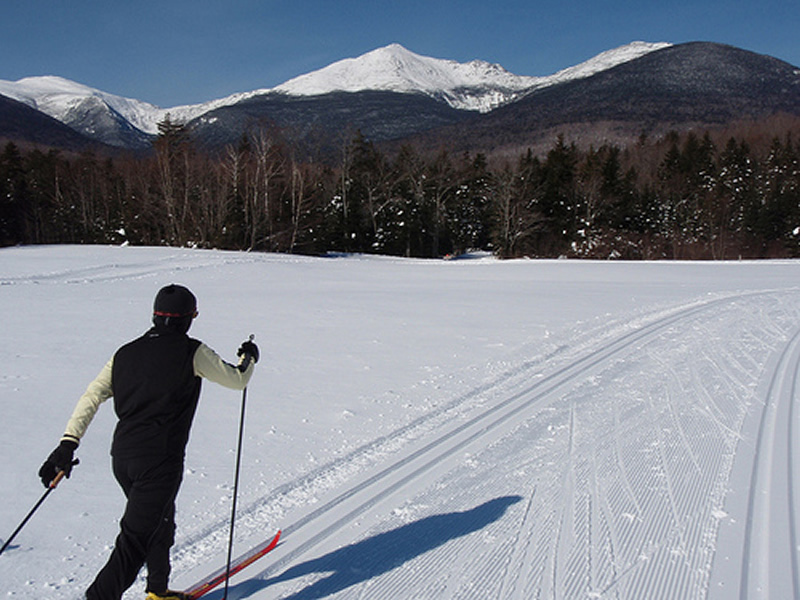 We are so fortunate to have a beautiful stretch of the river right here for our guests. On a hot summer day, there is no better way to cool off than by taking a dip in the crystal clear waters at our swimming hole or sunbathing on the smooth river rocks. 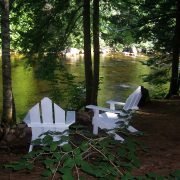 We also have a picnic table overlooking the river, a play area for younger kids and our outdoor hot tub is open year round.